Second Hand Dance are bringing dance activities into libraries this summer through performances and workshops. This June and July they will be touring Paper Solo, a collaboration between choreographer Rosie Heafford and visual artist Josie Davis, to libraries across London and the South East. The interactive performances will feature at a selection of libraries including the recently opened Canada Water library and Clapham Library. 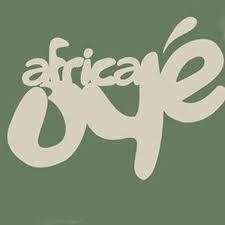 In 2012 Africa Oyé are marking 20 years of bringing the best in African music and culture to Sefton Park, Liverpool. You are currently browsing the Fringe Report blog archives for the day Tuesday, April 24th, 2012.